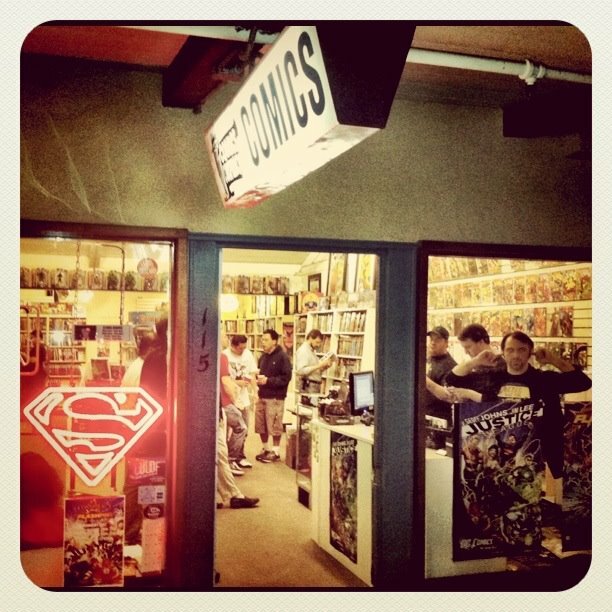 *Update - 10/29/13: Did you enjoy reading the Comic Conspiracy Comic Book Club selection Jim Henson's Tale of Sand? Two people voted, and the results are as follows: 1 Yes Vote, and 1 No Vote. I forgot to cast my vote so you could add another one to the yes category. Thanks for voting. 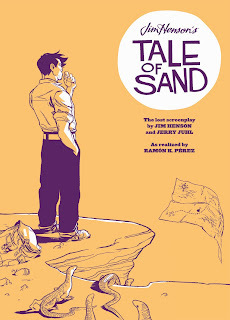 Toby's selection for this month's Comic Conspiracy Comic Book Club is Jim Henson's Tale of Sand. 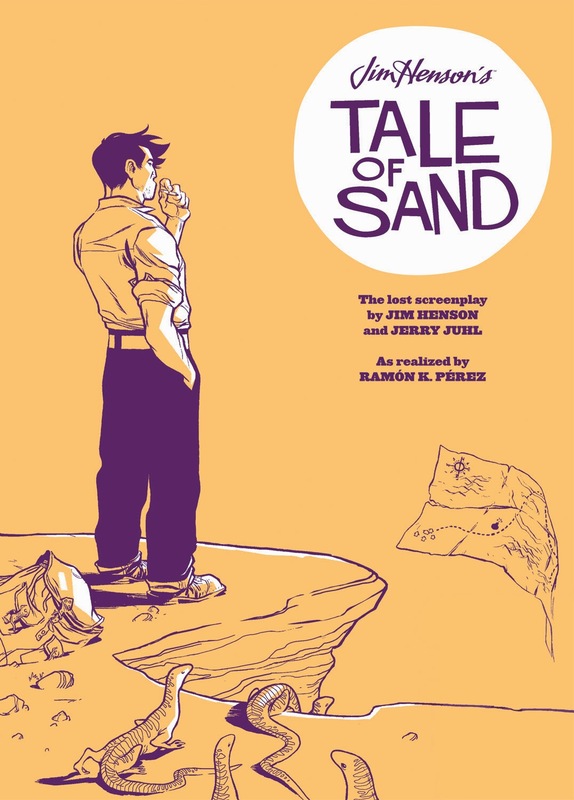 This original graphic novel is based on an unproduced screenplay from Jim Henson and Jerry Juhl, with art from Ramon Perez. I was taken aback by the obscurity of this selection. It is an obscure pick that I am actually curious to check out now that I have done a bit of research on it. Toby talked about a couple of Henson shorts that where the inspiration or beginnings of Tale of Sand: Time Piece and The Cube. I'm going to watch these two shorts and give Tale of Sand a try. We will discuss this title at length on Episode 130 of the Comic Conspiracy, which we will record on October 28, 2013.